This will be a different style of day, compared to our bi-annual conventions. We'll have a sword-fighting workshop that you can take part in, a location visit, a Making Costumes talk (with an original costume display), interviews with our RoS Guests, and a comedy re-working of the episode performed live. Tickets will be £65. There is no Child ticket option. I have based my projected budget on full-price tickets being sold as this is a capped event for 100 people. To introduce a half-price ticket would mean I couldn't afford to do what I want to do for fans. I'm really sorry but Children will be the same price as Adults. I feel absolutely terrible doing this but this is a specific one-day event, rather than the broader weekend one - so, it's not so easy to accommodate children at this one. Plus, some of the panels at HM2018 became a bit 'adult' at times and I don't want the Guests to feel inhabited on stage. I hope everyone understands? There will be a six-month, interest-free payment plan, if you request it. Please email info@thehoodedman.co.uk with your ticket numbers and whether you can pay in full or are opting for the six-month plan. Our venue is The Royal Hotel in Weston-super-Mare but there are only 40-odd rooms available for accommodation. 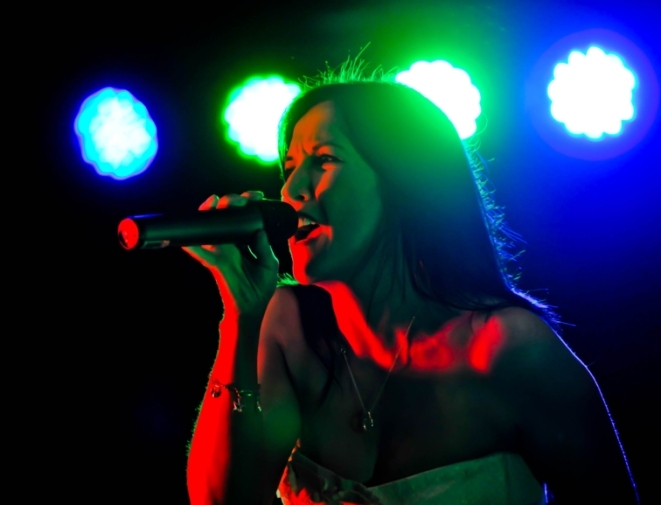 However, there are plenty of Hotels, Bed & Breakfast places, and even a Premier Inn within a short walking distance from the venue - so there is plenty of accommodation for all manner of budgets. The cheapest - the Premier Inn - is only 8 minutes walk away (2 minutes by car) and there are others closer! If you wish to stay at The Royal Hotel, booking is open on Monday 10th September from Midday - with a 25% discount on prices if you quote 'Robin Hood'. We will have our own private bar area and seating lounge, as well as the luxurious Birnbeck Suite. There will be a specially created piece of artwork to celebrate the episode (this piece of artwork will be free in your Welcome Packs), for you to get signed. All autographs will be £10, aside from our Sponsored Guest - Mr Anthony Horowitz - who will be £15. The Photo Studio will not be for Individual shoots but only there for one Group Shot of yourself and all the RoS Guests attending on the day. The price of this unique photo will be £20. There are no Dealer's Tables this year. The original costume display (by Jonathan Deval) will require space and I can't accommodate Dealers as well for a one-day event. It's going to be an exciting day! I may even, if I can afford it, pop on a Disco in the evening as I do have the Main Suite until midnight. It all depends on ticket sales. I hope you can come. I know you'll enjoy it. All of the details you'll need to know about this upcoming weekend of celebration is in a public Facebook post on our Facebook page. You should be able to view it even if you don't have a Facebook account. It includes the Timetable for Saturday and the Timetable for Sunday, as well as a lot of questions answered about it all. A very limited number of Day Tickets have been released. These will enable the attendee access to everything the Weekend Pass allows during 10:00am to 5:00pm. The only difference is that a Day Ticket won't have access to the Saturday Evening Banquet but you're welcome to eat at the venue itself and re-join us for the evening entertainment around 9:00pm. Tickets are £60 per person, for either day. If you would like a Day Ticket, please email info@thehoodedman.co.uk, stating which day you wish to attend (or both, if you wish to!) and how many tickets you would like. You will then receive a Ticket Contract in return. Unfortunately, there are no Payment Plans available on the Day Tickets. They will need to be paid in full within 28 days of signing and returning the Ticket Contract. Tickets will go on sale on Monday 10th October, at Midday (GMT) and the costs has been reduced. Adults are now £125, Children (5-15) are now £60, Toddlers/Babies (0-4) FREE. All tickets include the Medieval Banquet on Saturday night, as well as one free autograph per ticket holder from every Guest. The photo studio will be ticketed again, as this is an outside source, for the usual price of £10, plus you can have up to two people in the photo with the chosen Guest(s). 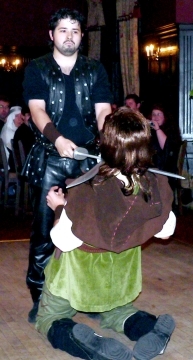 At Hooded Man Events, we are doing our very best to give you great value for money. There will, as always, be the option to pay over 6 or 12 months for your Weekend Ticket. Because of the change of venue, Weekend Tickets are limited to 250. Once they're gone, they're gone. You can email info@thehoodedman.co.uk from Midday on Monday 9th October to request tickets and you'll be sent a Ticket Contract in return. Hotel rooms are discounted too, though overall very slightly more expensive than our original venue. Sorry. Every room is £109 per night, per room (regardless of occupancy), which includes breakfast. If you have children, all extra beds are free in the room but there is a £5 charge for breakfast. You'll be given a phone number to ring and a reference to quote with your Ticket Contract, to be able to access accommodation at this lower rate. Bookings are open right now, so you can book as soon as you get the number and reference. There will be an annonucement of the venue, ticket prices and date of 2018's 'The Hooded Man' convention in the next few weeks. Stay tuned! Nothing's forgotten. The weekend is over and we all had a magical time. Humbled thanks to the Guests, hugely appreciative thanks to all the Attendees, and grateful thanks to the Stewards and Interviewers. We'll make sure it's just as much fun in 2018, I promise. The last guests have been announced (MICHAEL PRAED, JAMES COOMBES, CLAIRE TOEMAN MARCUS GILBERT and MICHAEL CRAIG) and it's now only a week away. There will be online schedule to download from our official Facebook page on Wednesday (www.facebook.com/HoodedManEvents) and we're so excited that such a large volume of people are coming. 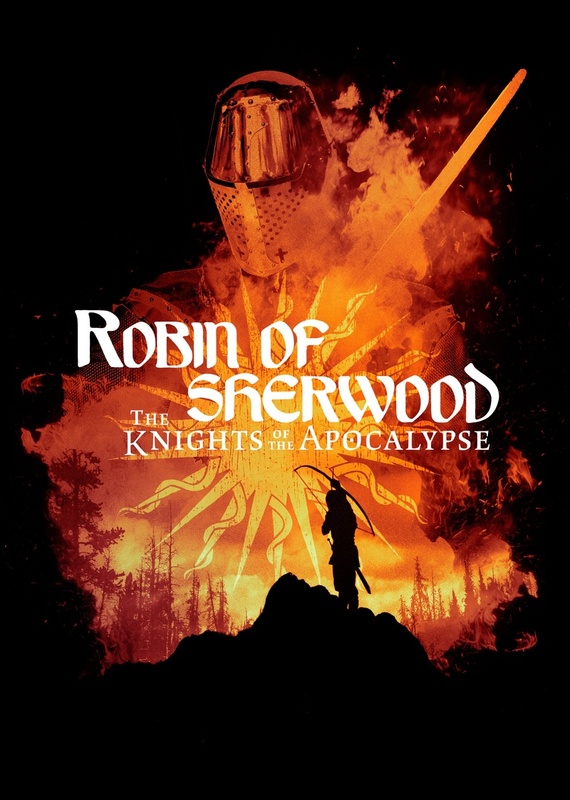 We'll also be having an exclusive trailer for 'Robin Of Sherwood: The Knights Of The Apocalypse' and a panel, with as many of the cast who are there, for the upcoming new audio adventure. Nothing's forgotten... we hope! More guests announced. 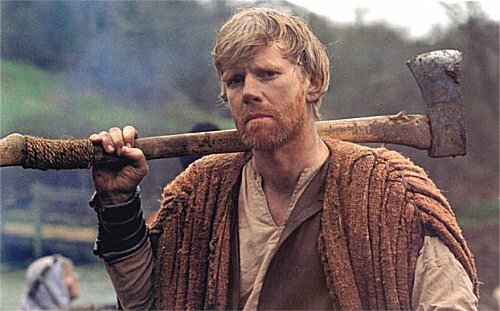 We are delighted that PHIL DAVIS, CLIVE MANTLE and PETER LLEWELLYN WILLIAMS will be with us for this year's 'The Hooded Man' convention (Prince John, Little John and Much, of course!). We're keeping it in the Huntingdon family by announcing that Lord Edgar of Huntingdon will be riding in for this year's 'The Hooded Man' convention. This be in the fine and legendary form of actor IAN OGILVY. We are delighted (and a little bit scared) to announce that Morgwyn of Ravenscar will be joining us at 'The Hooded Man' next year, in the form of the brilliantly talented titian-haired beauty, RULA LENKSA! On Tuesday 15th September, a crowdfunding page goes LIVE on Indiegogo, in order to make this brand-new, Richard 'Kip' Carpenter-scripted 'Robin Of Sherwood' full-length feature. 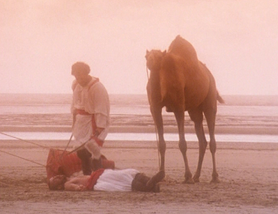 It takes place just after the end of Series Three, with Jason Connery's Robert of Huntingdon still donning the Hood. Plus, it features ALL the main surviving original television cast of that era. It is being produced by Bafflegab Productions and co-produced by the organiser of this very convention. The Discount Code has been emailed out, to book your accommodation at the venue next year. All rooms are £99, including breakfast (per room and not per person). If you didn't receive your Discount Code, please email info@thehoodedman.co.uk. There were a LOT of emails to send and the server was straining under the load! On Friday 12th June, the Discount Code for accommodation to the venue (St. Pierre Marriott Hotel, Chepstow, Wales, UK) will be grouped emailed out to everyone that has paid for a ticket or is currently on a payment plan. This will be sent out at Midday/Noon GMT. The Hotel has opened booking already but, if you book before then, you'll be paying full price. To everyone that's asked for physical tickets, we don't do that. Sorry! The ticket contract you sign and return is your proof of purchase. From that, we create a register. On the weekend, you just turn up proof of your name and we'll look you up on the database. This is what we did for the first 'Hooded Man' convention in 2014 and not one mistake was made. So, we see no reason to change the system! Just to make everyone aware, we only have 26 Weekend Tickets left for 'The Hooded Man II'. There will be a very limited number of Day Tickets available but these won't be on sale until much nearer the 2016 convention. Again, we are the ONLY event company that runs an interest-free monthly payment plan for your tickets (12-months), so you don't have to worry about paying it all up front. This is why we like announcing in advance, to allow you to do that. However, we also welcome a full payment, if you want to do that! 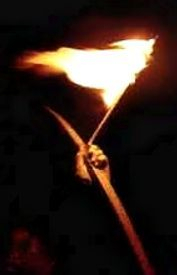 We are delighted to announce that the second 'The Hooded Man' convention, courtesy of Hooded Man Events, will take place over the weekend of Saturday 30th April and Sunday 1st of May in 2016. 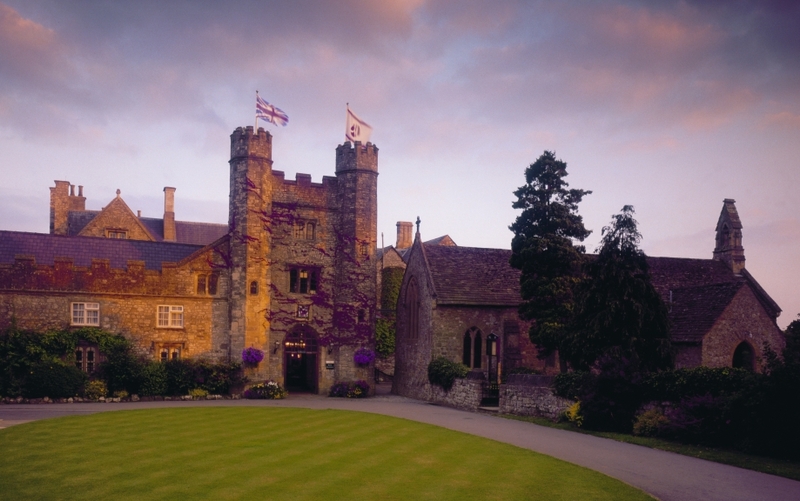 It will, again, take place at the beautiful, and visually appropriate, St. Pierre Hotel in Chepstow, Wales. The original 30th anniversary event was intended to be a one-off celebration but guests and attendees seemed to have so much fun that we couldn't resist doing another. Hopefully, this will be bigger and better! Tickets are £140 Adults (anyone 16 or over) and £70 for children (anyone 5 or over). You can reserve your tickets early before they go on sale at midday Monday 17th November, by emailing how many you want to info@thehoodedman.co.uk. There will be a 12-month Payment Plan (interest free), should you wish to pay for your tickets over time, rather than as a one-off fee. A website for this book will be online soon. There WILL be another 'The Hooded Man' event. This will take place in 2016. The venue is to be announced and, as soon as it is, you can register for tickets and pay monthly (as before). A new website will be coming soon, called 'Hooded Man Events' too. So, this one will either be revamped or we'll be moving to a new part of the forest. We'll let you know! If anyone has a review they wish to share of the event, then please feel free to email info@thehoodedman.co.uk or post it on our Facebook page (www.facebook.com/HoodedMan2014). I encourage constructive criticism, so good AND bad reviews are encouraged and appreciated. If we return, it will be nice to iron out any niggles and build on this, our first, convention. Thank you. 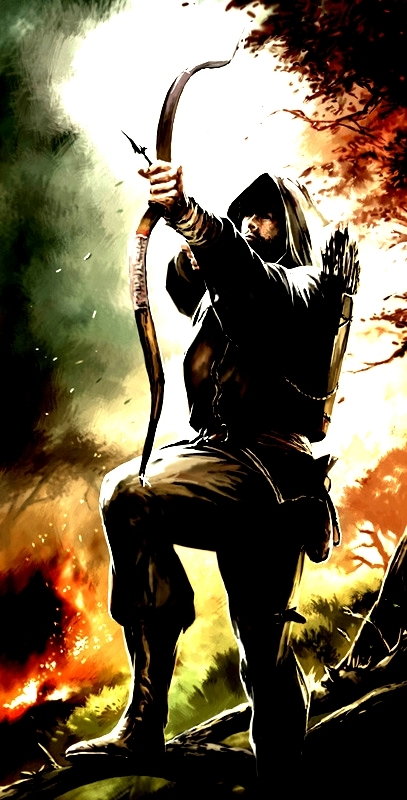 The Hooded Man may very well return. Watch this space. Tomorrow, 'The Hooded Man' is no longer coming but is actually here. This is your LAST DAY to grab a Day Ticket (of which we have a scant few left for Saturday and for Sunday). Email info@thehoodedman.co.uk if you fancy popping along. For now, until after the weekend, there will be no more updates but - on a personal note - I want to say a HUGE thank you to all the fans who bought tickets early, all the guests (confirmed and unavailable) who love the show still as much as the fans, and everyone who helped in a small or large way to realise this convention. As is quoted so often from the series, "Nothing's forgotten. Nothing's ever forgotten." When I said we wouldn't be announcing any more Guests from the original series for the weekend, I was telling the truth. It doesn't stop me announcing one for the Sunday only, which is just a day! Ahem. It's my pleasure to announce that DANIEL PEACOCK (Sergeant Sparrow in 'Herne's Son') will be joining in the celebrations from midday to 5:00pm on our second day of the convention. 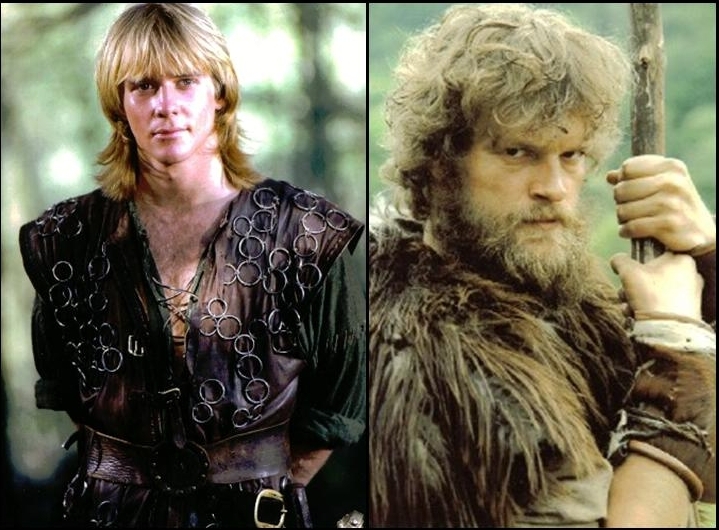 Although we aren't announcing any more Guests from the actual series of 'Robin of Sherwood', we are rather excited to announce that we'll have four of the personnel behind 'Tales Of Albion' (a web series, spun out of the 'Spirit Of Albion' film), that takes many of the same themes and mythology of 'Robin of Sherwood' and re-tells the folk tales of old. 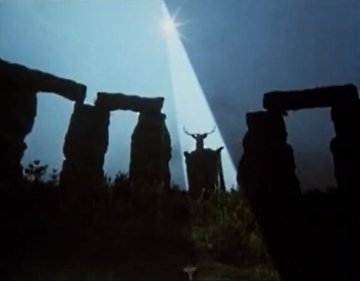 We'll be showing a specially-created trailer on the Saturday evening and then, on Sunday, there will a panel featuring GARY ANDREWS (Writer/Director), JULIANNE GASCOYNE (Producer), ALEXANDRA MARRIOTT ('Morrighan') and SEÁN FRANCIS GEORGE (Horned God'). You can see what they're up to by heading on over to www.talesofalbion.com. For those of you staying at the Hotel on Friday and Sunday, there is a Carvery Dinner in both of the restaurants that you can book for if you wish? It costs £15.95 a head and needs to be booked in advance. You can do this by ringing 01291 625261. Also, for the convention itself, they will be supplying a special hot and cold buffet (and barbecue) for Saturday and Sunday's 1pm to 2pm lunchtime break. This means you won't have to go off-site or try and get served in the main two restaurants. You can stay around the part of the Hotel we're occupying and spill out into the ground surrounding us. They are, you'll be pleased to hear, doing it at less than the normal Hotel prices! So, big thanks to the St. Pierre Hotel for that. There are a limited amount of Day Tickets released today. This entitles you to attend the Interview Panels, Autograph Sessions and Photo Studio on either or both days, depending on what you buy! You will get a Welcome Pack and the three free autographs too but you will not be able to access the anything after the 5pm cut-off point on both days. The cost of a Day Ticket is £50 (no concessions). There are a limited amount of Day Tickets released today. This entitles you to attend the Interview Panels, Autograph Sessions and Photo Studio on either or both days, depending on what you buy! You will get a Welcome Pack (and one free autograph too) but you will not be able to access anything after the 5pm cut-off point on both days. The cost of a Day Ticket is £50 (no concessions). If you wish to buy for one day or for both, please email info@thehoodedman.co.uk. There really aren't many for each day, so you'll need to get in quick! 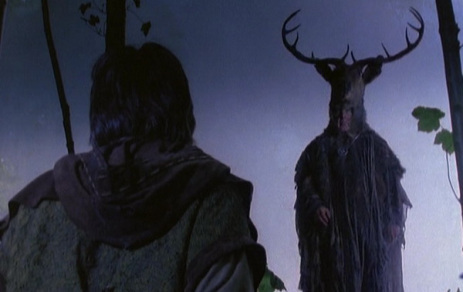 Just before the Day Tickets go on sale, it's my absolute pleasure to say that The Hooded Man will be joined by MICHAEL PRAED (Robin of Loxley) on the Sunday only. To have both of Herne's sons at the event named after them is very exciting indeed. As with every other guest, he appears subject to work commitments. So, everyone keep your fingers crossed that - with a week to go - we've keep our confirmed Guest List. Sadly, that is the last guest to be announced but we think that's a pretty good line-up for the 30th anniversary. We were in talks with PHILIP JACKSON (Abbot Hugo) and RAY WINSTONE (Will Scarlet) - both of whom wanted to attend - but, sadly, work schedules didn't permit either of their involvement. We have a limited number of Day Tickets available to buy, which will go 'live' on Friday 25th April. You can reserve yours, or ask how to buy them, by emailing: info@thehoodedman.co.uk. There will be 30 tickets released for Saturday (Entry: 10:30am to 5:00pm) and 30 tickets released for Sunday (Entry: 10:00am to 5pm). Each ticket for each day will cost £50. This entitles you to all that's on offer (including a Welcome Pack, which has 3 free autograph tokens contained within, and the 30th Anniversary Programme). The only thing excluded is the Saturday Banquet, in the evening. We also have more Guests to announce very soon! Stay tuned. It is our pleasure to announce that JUDI TROTT (Lady Marion of Leaford) will be joining us for the Saturday of our weekend convention. 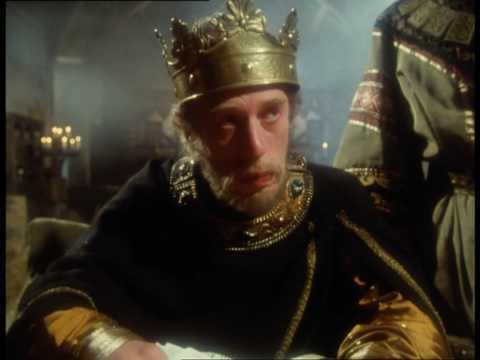 Sadly, with less pleasure, we have to also announce that a work scheduling conflict has meant that CLIVE MANTLE (Little John) can now no longer be with us. However, we do have a a couple more Guests to announce soon. Day Tickets for Saturday and Sunday will be £50 each and there will be a limited number of 30 tickets available for each day. Keep your eyes peeled for when they get announced, as you'll have to be quick. The website has been extensively updated, so please fee free to browse through. Due to the amount of guests booked (and with more to announce), there will no longer be an allotted time in the schedule to visit Chepstow Castle. This magnificent filming location for the series is a 10-minute drive from our venue, so please feel free to visit it at your leisure. 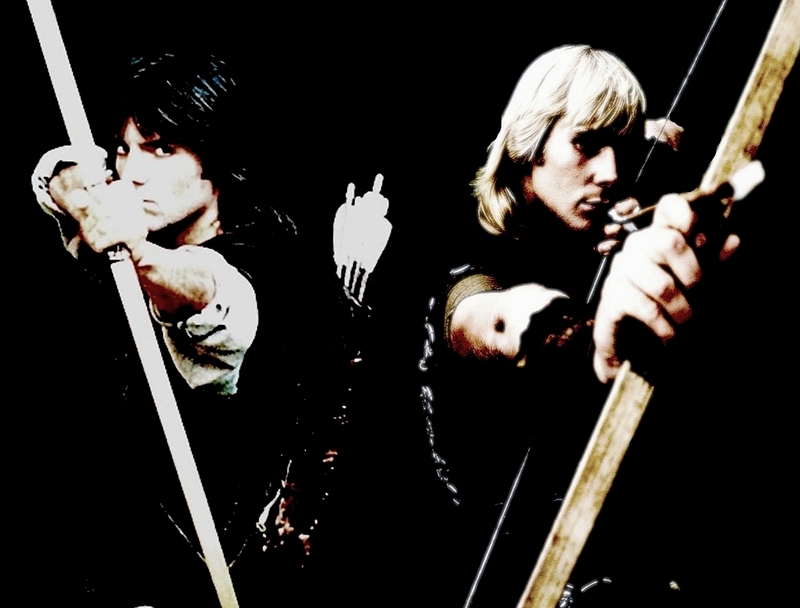 Again, due to time/budget, The OFFSTAGE Theatre Group will not be premiering their Robin of Sherwood: The Musical play. However, there will be an opportunity to pre-order this on DVD to be sent out exclusively for attendees to 'The Hooded Man'. There also seems to be some confusion over CLANNAD. They allowed us to put their details up on the website to show that we were 'in talks' and that they were interested in coming. They requested to be contacted nearer the date, to get a clearer idea of whether they would be available. We are talking to them again now. So, fingers crossed. We are delighted to welcome MICHAEL CRAIG (Earl of Huntingdon) and Casting Director BETH CHARKHAM to the line-up. More guests to be announced soon. Please note that Michael Craig is a sponsored guest and will only be there on the Saturday. 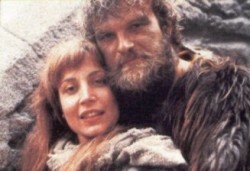 PHIL ROSE (Friar Tuck), who was interested in coming, has now had to pull out due to filming commitments overseas. As a main stalwart of many, many conventions, it's a real shame that he can't join us for the 30th anniversary celebrations. Sadly, we are now without Jeremy Bulloch (aka Edward of Wickham), who has apologised for not being able to make it but who - very kindly - sent through some signed photographs for people to purchase at the convention. We are currently working on two other guests and hoping to confirm those in April. Fingers crossed! As the Discount Code for the ticket holders has been mailed out (for those that want to stay at the venue, this applies to getting accommodation there at a reduced rate), it's a good idea to mention that Monday 5th May is a 'Bank Holiday' in the UK. So, if you're an overseas visitor and plan to check out/go home on that day, train and bus timetables may be affected as they'll be running a reduced service. Do please check on the websites of the companies you're using! For those of you who have tickets to the Convention, the Discount Code will be emailed out on Monday 30th December, GMT. For those of you who don't have tickets, I have just received word that FOUR adult weekend tickets are for sale because of personal circumstances. Please email info@thehoodedman.co.uk for details. At the end of January, there will be a small number of limited Day Tickets available (£80 each, for the Saturday and Sunday). We've got no more Guests to announce but there's a couple who we're working on, so we hope they'll agree to their involvement too. We are still awaiting a Yay or Nay from a couple fo guests we've approached. Sorry we haven't been able to give you more excitement about who you'll be meeting at the convention. We're also very sorry to say that the Discount Code for the accommodation at the venue has not been released yet. We will be working on a few things with the Hotel next month and, hopefully, it will be released then. As soon as it is, anyone with a ticket will receive an email with that code in to use. Also, we've had a few emails about tickets. There is no 'physical' ticket. The contracts you signed and sent back act as your tickets, as we have them on file and will be constructing a register for the Registration Desk on the morning of the first day of the convention. So, your names will be there and all you'll need to do is show some identification at the Registration Desk. We did look into releasing 'Day Tickets' for those who have missed out but, sadly, the capacity of the Hotel was our cut-off point for ticket sales and that was reached. We just can't fit anyone else in! However, we are hoping to release an 'edited highlights' DVD of the event (if everyone's permission is granted), which will be sold solely in aid of the charities Richard 'Kip' Carpenter supported in his lifetime. We are SOLD OUT. No more extra tickets. If you enquire from now on, you will automatically be put on a Waiting List but the likelihood is that there won't be any tickets spare. Most people have paid (or are in the process of paying, via our innovative monthly Payment Plans), so we very much doubt they will want to part with their tickets. Booking for the convention Hotel will open in May of this year, with a Discount Code being emailed out to ticket holders within the next few weeks. Whilst Barnaby has been busy organising the upcoming ?The Hooded Man? convention, his co-organiser Karon has been equally busy organising a lasting tribute to Richard ?Kip? Carpenter himself. We can now exclusively reveal the date of this event, which will act as a lead-up to the 30th anniversary convention. Friday the 15th of February 2013 will see the planting of ?KIP?S WOOD? 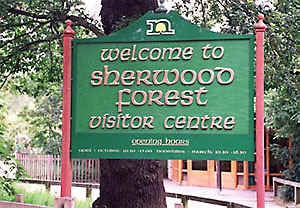 within the ancient boundaries of Sherwood Forest. The event will last for approximately two hours, with a break for lunch, and is adjacent to Sherwood Pines (a few miles from the Sherwood Forest Visitor Centre). We have been in contact with Kip?s family and they have expressed a desire to represent him at the planting, all being well. If YOU would like to be there too (and this is really a unique event for ?Robin of Sherwood? fans), then we are offering you a chance to enter our ?lottery?. If you donate towards the cost of the wood, you will automatically be entered. A week beforehand, we will randomly pick TEN people to join us. 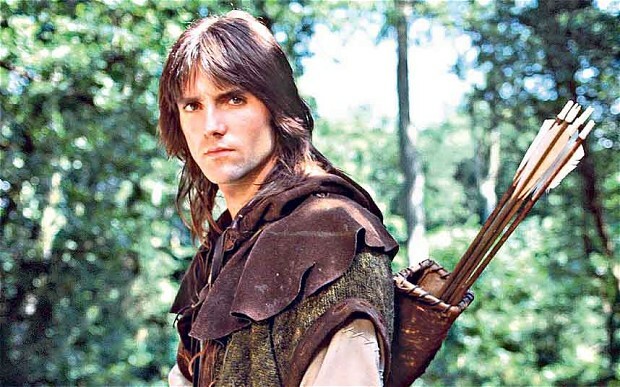 We hope there will be Press interest and, possibly, a cast member from the show on hand as well as Kip?s family for this unique and fitting tribute to the genius behind ?Robin of Sherwood?. There is no limit to how much you can donate and any spare money will go into the convention bank account to be distributed between Kip?s charities of choice. The minimum donation is £1.50 and the maximum ticket number you can request is two. You will need to add a message to your donation, saying it is for ?Kip?s Wood? and how many tickets you require. All of this needs to be done via PayPal (to the address info@thehoodedman.co.uk). Please use the 'Personal Tab' in PayPal and then select 'Personal Payment Owed'. This will ensure that PayPal don't take any fees from your donation. You will be responsible for your own transport to and from the event, as well as providing your own food and drink (and suitable clothing!). Please also make sure you are able to book the time off work at short notice, should you need to. If you want to check approximate distance, then the postcode for Sherwood Park is NG21 9HN. We hope you'll find it in your hearts to donate to this. Everybody who donates will have their name printed in the 30th Anniversary Commerative Programme, which will be on sale at 'The Hooded Man' convention and the website (free to attendees), and personally thanked onstage during a tribute panel to the legendary Richard 'Kip' Carpenter. Happy New Year! We are still working away tirelessly and we have very few tickets left to sell now. We have the budget/space for three more guests, who will be announced this year (we hope). We also have a rather exciting announcement to be made very soon too, so keep your eyes peeled for that. The discount code for the Hotel STILL hasn't been forthcoming but we hope to rectify that once the tickets have all been sold. Although we were SOLD OUT about a week or so ago (yes, really - two years in advance!! ), we didn't announce it on here simply because we were hoping the numbers could be extended slightly by the venue. Luckily, we've managed to come to an agreement. So, there are FIFTEEN EXTRA TICKETS available. That's all. So, if you have been undecided about being with us on the 30th anniversary, I can only urge you to make your minds up and email info@thehoodedman.co.uk with your ticket request. We've still got more guests to announce as well! We cannot begin to say how excited we are that the magnificent NICKOLAS GRACE has confirmed his appearance at our celebration. 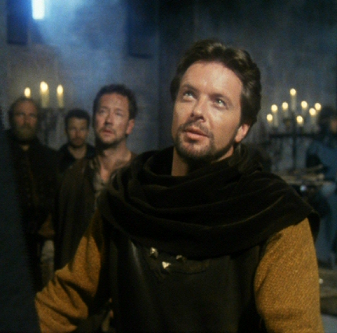 The machiavellian madman, Robert De Rainault (aka The Sheriff of Nottingham), was never portrayed better than in 'Robin of Sherwood' and his arch humour and twisted anger was the template for certain other big-screen Sheriffs to come. 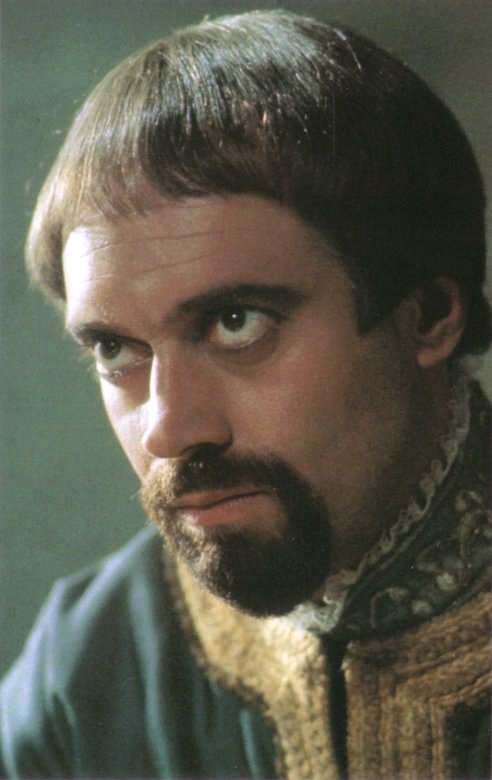 Of course, as with all good villains, in person Mr Grace is more like his surname than his delightful portrayal. Folowing on from the previous announcement, it doesn't seem fair that Little John should arrive at the convention without his true love by his side. So, we are very excited to be able to announce that Meg of Wickham will be rekindling the spark at 'The Hooded Man', as played by the very lovely CLAIRE TOEMAN. It is with huge excitement and very great pleasure that we can announce the confirmation of JASON CONNERY and CLIVE MANTLE, who will both be joining us at 'The Hooded Man' convention, subject to work commitments. We are extremely chuffed that Little John and Robert of Huntingdon will be appearing in the form of these two fantastic actors and we are slowly 'getting the band back together' (as the Blues Brothers would say!). We hope you're as delighted as we are with this announcement. Of course, we're hoping to announce a few more guests yet but we're also very near a sell-out on the convention tickets too. So, now would be the time to email info@thehoodedman.co.uk and make that 'maybe' a 'yay me', if you've been undecided. To buck the 'disco' trend of previous conventions, we've decided to hire a live band instead. They are ALTER EGO and you can find all about them at their website if you click on their name. We have been quiet for a little bit, haven't we? We promised you a second guest after Jeremy Bulloch and we do have one. Well, we have more than one. That's why we've held off announcing anybody else. Ticket sales have been fantastic and we've less than 20% left to sell. So, what we're going to do is send out a Press Release to relevant magazines and websites next month, including the new guests that we're yet to announce, and see if that means we'll get a few more people interested in coming. Obviously, as soon as the Press Release has gone out, we'll be announcing the guests on here too. But, it's safe to say, that if you're still debating whether to buy a ticket or not, now would be a good time to make up your mind in the affirmative! You can email on info@thehoodedman.co.uk. Otherwise, you may very well miss out! The first of our two guest announcements this week is so used to getting his cabbages trodden on by Gisburne, that he ended up quitting the day job and going freelance as a bounty hunter in a galaxy far, far away. Yes, it's the always smiling and genuinely lovely JEREMY BULLOCH. You can find out what he's up to by clicking on his website. 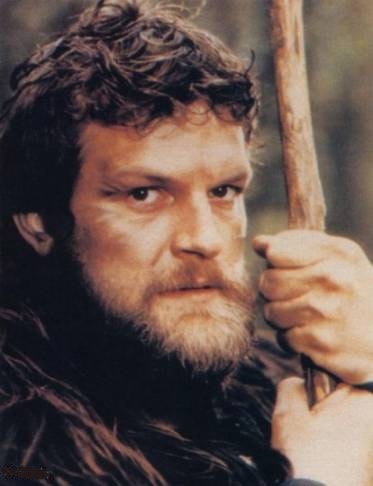 We are so pleased that he'll be joining us at 'The Hooded Man' convention. 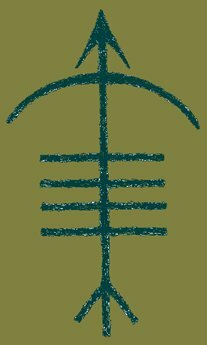 We have been very kindly granted permission to tell you that we are currently 'in talks' with CLANNAD, to appear at our convention. They are very interested and would like to be there in some form but we're just debating what. Obviously, they are very busy promoting a new album and touring next year, so we won't have confirmation of what they'd like to do for a while yet (an interview panel, an acoustic set, or a full outdoor concert are some of the ideas mooted so far). We are, of course, genuinely over the moon that the group and their Manager allowed us to announce this to you. This includes your 2-day pass to the convention itself, access to the discount code for the Hotel accommodation and the Medieval Banquet on Saturday night. Being as the convention is two years away, we want to help you afford your ticket early and that's why we're offering a 6, 12 or 16-month payment plan (via Standing Order, PayPal or International Bank Transfer). You are welcome to pay in full, of course (or pay the plan off early, if you wish), but we know that the recession is still hitting hard and we're dedicated to bringing you the most amazing 30th anniversary celebrations for the cheapest price possible. By the time this convention rolls around, the previous convention will be 6 years away and they were charging £100 a ticket with not even half the number of guests and events. So, we promise you that we're giving you value for money and every penny goes to the convention itself. The organisers are not getting paid and this is a non-profit event, so any money left over will be donated to the two charities that RIchard 'Kip' Carpenter supported in his lifetime. To book your ticket, please email info@thehoodedman.co.uk with your name, how many tickets you require, and whether you'll be paying in full or, if not, which payment plan you're opting for. You will then receive a reply with the relevant information included. IMPORTANT ANNOUNCEMENT: If you opt to pay via PayPal for your ticket (and this is the easiest way for all non-UK residents to get their tickets), you can still do the Payment Plans. All you need to do is add 10% to each monthly fee you send (for example, £10 becomes £11), so as to cover all of the fees that PayPal charge. We're very sorry about this but these are costs we can't cover. For those that have registered, the email about ticket prices have been sent. The public will get the remainder of the tickets on sale (if there are any!) on Monday 30th April. PayPal will be available for our overseas attendees (to allow easier bank transfers and payment plans) but this is taking a while to verify. Also, do bear with us when waiting on a reply to emails. We've been swamped with responses and we WILL get to them all, it just may take a little while. You may reply to any emails you receive (as it will be from the official email address of this website), rather than having to use the 'Contact Us' form. We have emailed the prices in English currency (£). it should be relatively easy to find a currency converter online, if you are not in the UK. One final thing, the ticket prices for different ages are as follows: 0-4 years - Free. 5-15 years - Child. 16+ years - Adult. Also, we are delighted to announce that BOWLORE will be joining us for the weekend. You can find all about who they are, and what they do, by clicking on the link to their website. They will be encamped in the grounds all weekend, providing constant entertainment. We are very excited that they've agreed to put on a rolling show for us, with so many different displays and participation contests, that we know you'll love everything about them. 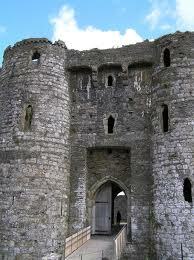 Plus, one of their number is the regular costumed 'tour guide' expert at Chepstow Castle and will be leading the location visit there. Okay, okay, we'll announce one more guest before the ticket emails are sent out. 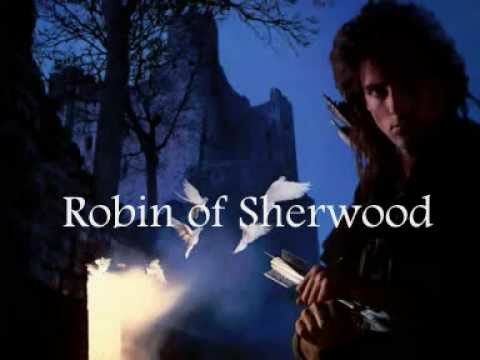 Following on from Esta Charkham (see below), we will also be hosting the main Producer of 'Robin of Sherwood' (and long-time creative partner of Richard 'Kip' Carpenter) - Paul Knight. He has graciously agreed to come along and share his memories of Kip, as well as the series too. We are understandably thrilled to have such an important member of the creative team on board the convention guest list. Before we send out an email next week about tickets (do register your interest via the 'Contact Us' link, as you'll get the opportunity to buy your tickets 7 days before they go on sale here. Of course, if the venue limit is reached, they won't actually go on sale here!! ), we have another cheeky little announcement to make. 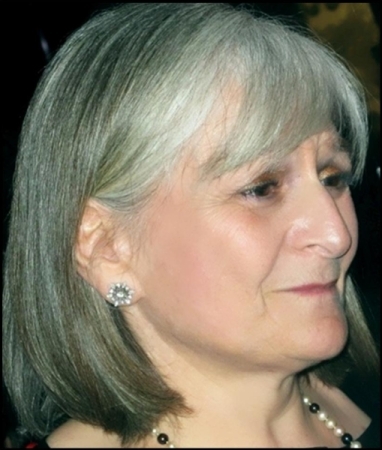 We are more than delighted to confirm that ESTA CHARKHAM - the casting director and one of the producers of 'Robin of Sherwood' - has kindly agreed to be our guest (as always, subject to work commitments). She was incredibly supportive from the very start of setting up this convention, so her acceptance of our invitation to appear is a great delight. It's Easter Sunday and, instead of a chocolate treat, here's something even better... our first announcement of guests. The opportunity to introduce two Saracens on such a religious day was too good to pass up! So, we are delighted to tell you all that MARK RYAN (Nasir) and VALENTINE PELKA (Sarak) have agreed to be at 'The Hooded Man' convention. We promise we won't give them swords and make them fight in slow-motion. Well, we can't promise. Both appear subject to work commitments, of course. There will be more news and announcements on the way next week but it has come to our attention that people are anxious to know if their registration for the convention (via the 'Contact Us' link) has got through. Due to the high volume of people registering - and it's safe to say we're approx 65% at capacity for the venue, so do register soon! - we haven't replied to everyone personally as we were intending to announce a ticket price fairly quickly. But, to allay any fears, we will go through the list today and tomorrow and reply. If you don't receive a reply by Monday night, then we advise you re-register. You can also contact us through our Facebook page. Today, we've signed the contract for the 30th anniversary venue. It is the St Pierre Hotel & Country Club, in South Wales. 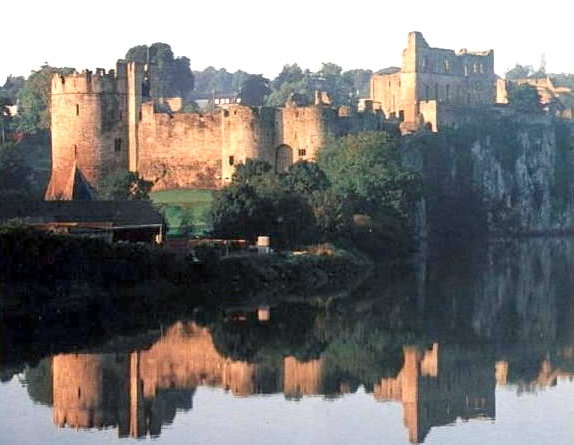 Due to it's proximity, the location tour on the Sunday of the convention will visit Chepstow Castle and Hinton Priory (which, although privately owned, we're in discussions to have opened for us specially!). The discount rate for the accommodation is very good indeed, with 95 Standard / Double / Twin rooms allocated for our attendees. We would seriously advise people to share rooms, where possible, in order for everyone to be able to stay at the Hotel. We'll open a group on Facebook soon for people to share details if you are coming as a single person, in order that you can match up and share costs with other like-minded fans. We shall also be annoucing ticket prices next week, with a monthly payment plan in place, so that the expense of the accommodation is the only one you'll have to stump up a wad of cash for in advance! We hope, with a monthly plan in place for tickets, everyone will be able to book early and won't miss that small sum of money coming out of their account every 4 weeks. More details on that next week (and the hugely discounted price of accommodation at the Hotel, with the code to use when booking). 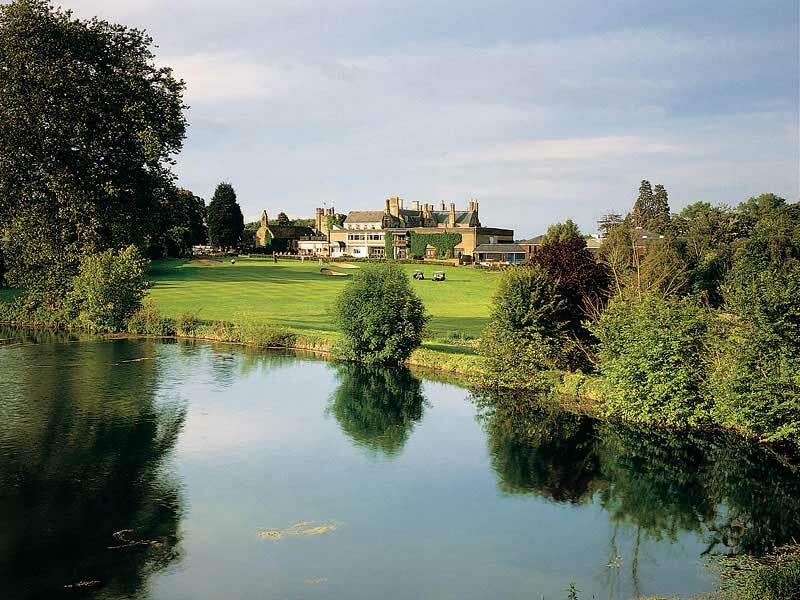 The Hotel is situated in acres of gorgeous grounds, which will be utilised for certain events and, in a fitting tribute to Richard 'Kip' Carpenter, we'll be firing flaming arrows into the lake during the final ceremony to honour the creator/writer/producer of this amazing television series. Shhh! The Sheriff has a secret to impart. As we've already had enquiries about how to book tickets, we are happy to announce that you can RESERVE your tickets right now. There is no obligation to buy them, when the tickets go on sale (especially as we haven't announced a price or the guests/schedule/venue for the convention), but - as this is a 'limited numbers' event - we want you to be able to register your interest. So, head on over to the 'Contact Us' link above and, in your message, tell us how many tickets you want to register. When the price is set, we'll send you an email and you can then decide whether you want to go ahead and purchase them. If there are tickets left over after the reservations have been dealt with, then they will go on public sale. 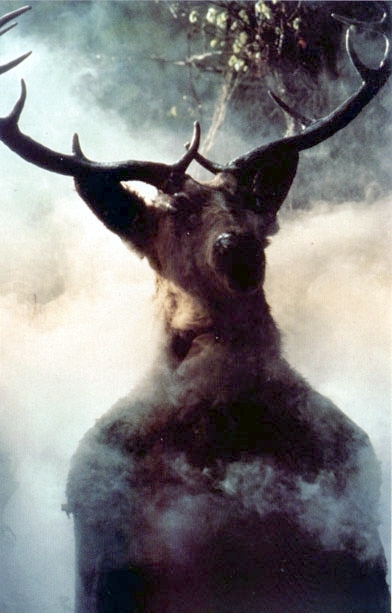 We can promise we're working hard to negotiate the appearance of some AMAZING 'Robin of Sherwood' alumni. We are in final contract negotiations for the venue and it looks very likely we will annouce where this convention will be held at the start of next week. It's an amazing place and we're excited to be finalising it with them. 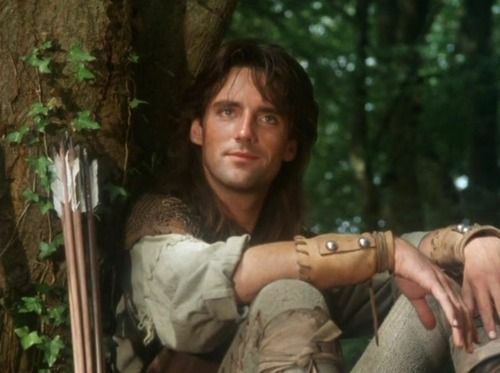 ?With its distinctive mixture of history and mythology, Robin of Sherwood was the definitive treatment of the Robin Hood legend, a tale of realism and magic in an English past. 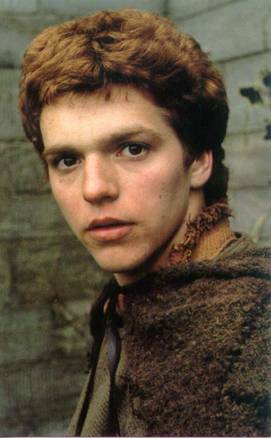 Written by Richard Carpenter and broadcast on ITV between 1984 and 1986, the series has endured long after it ended and been a major influence on later versions of the Robin Hood story. Now for the first time, a guide to the series, from its beginnings in fifteenth century ballads of Robin Hood to its modern tale of a band of guerillas striking from their forest hideout. This book takes a new look at every episode, and investigates the roots of the series, the contexts of the time it was produced and the time it was set, and the spin-off media that were created around it. 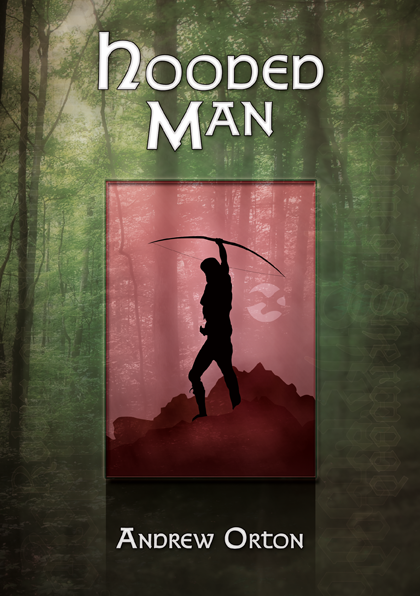 Hooded Man is a book of history and television, of Norman Conquests and 1980s drama, of paganism and fantasy. 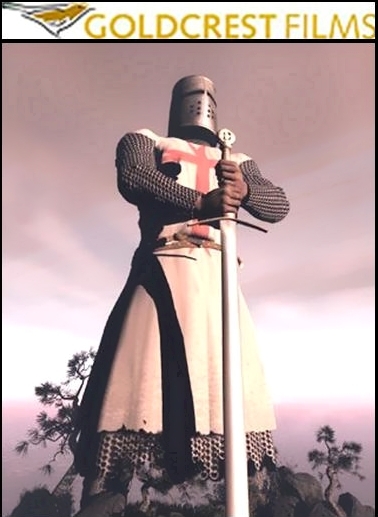 But most of all, of sorcery, sunlight shining through the trees, and good triumphing over evil.? 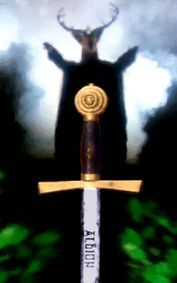 During the convention, you will get to see a new theatrical parody of 'Robin of Sherwood' by The OFFSTAGE Theatre Group (who brought 'Robbin' The Legend' and 'Robbin' The Legend Again' to the 2004 and 2006 RoS conventions). This one is a musical comedy. The script is almost finished and they are looking to reunite the original cast from these two well-loved productions, in order to provide some big laughs for all the attendees. 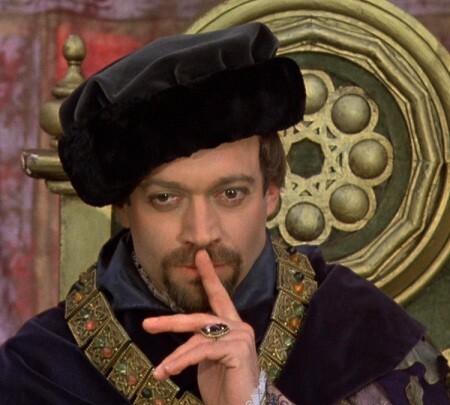 Hopefully, this may entice Nikolas Grace back to a convention, as he held these plays in high regard and the theatre group were lucky enough to get the seal of approval from the dastardly Sheriff of Nottingham himself.